Before officially starting this post, I have supplied this video to enhance the reading experience for all of my Downton fans. You can bet I had this song running through my head the whole time I was walking the beautiful grounds of Highclere and I can't imagine a better way to look at these photos than by listening to this familiar tune. 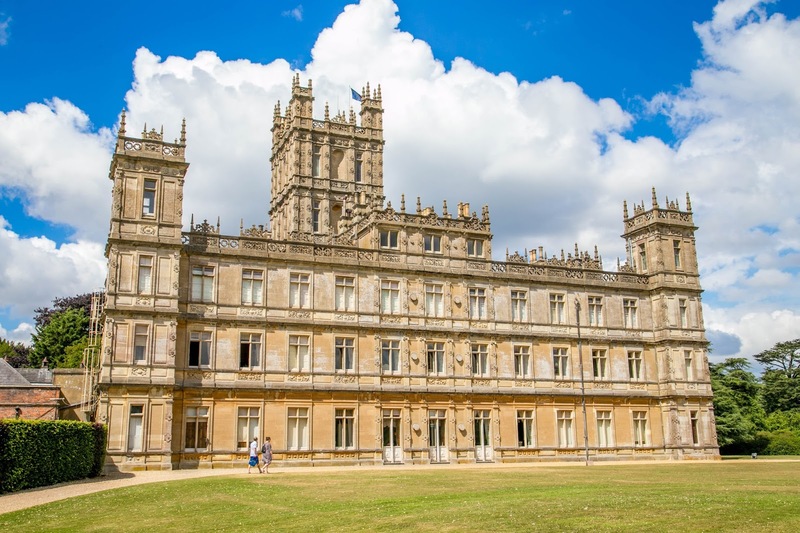 In dreaming up the perfect UK trip, a visit to Highclere Castle (set for both the interior and exterior shots of Downton Abbey) was a must. It doesn't take much to please the Neal girls- as long as it's a British and set in a time not of our own, we'll watch (and rewatch) it. Downton is no exception. 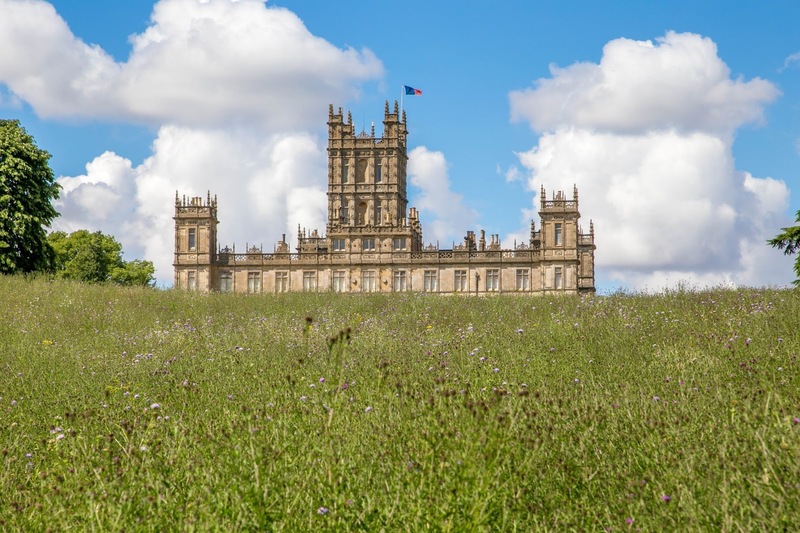 Highclere Castle is the estate of the Carnarvon family. While rooms in the house feature photos of the family, the current Earl, Countess and their children do not live at Highclere but in a smaller property on the grounds. This is to our advantage though as the rooms aren't different from the ones we see on TV. The grand entry, two story foyer, the large library, the light blue bedchamber of the Countess, and the illustrious staircase we see so many of our favorite characters come down (mine being the sweet golden retriever) are all precisely the same. 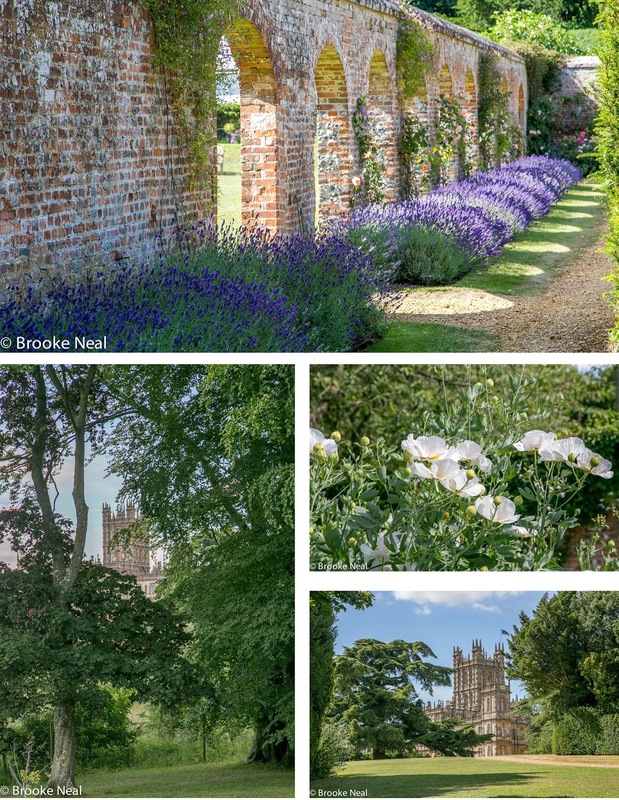 Sadly, photos of the inside are not allowed so you will just have to enjoy our photos of the beautiful gardens. Thankfully, our visit was accompanied by gorgeous weather. While we were only in the house for an hour and a half, we stayed on the grounds until it was closing time. The cafe on site offers a tasty lunch and, if you book in advance, you can even enjoy afternoon tea with a view of the castle. This, and the gift shop, are the two buildings you can visit with the Gardens Only ticket. In my opinion, the gift shop was totally worth missing. There is an lack of Downton related souvenirs (I mean, one would expect to find a Mrs. Crawley t-shirt or something, but maybe that's just me) and instead there were a variety of overpriced hats, scarves and knick knacks. Total bummer! Even if you decide not to go into the house, the grounds are quite expansive and there are many little gardens to tool around in. My mom loves a good flower picture for her instagram and I think she got enough photos here to last the rest of the dry Saudi summer. Also, walking the grounds gives you the opportunity to pretend you are Lady Mary coping with some new catastrophe. 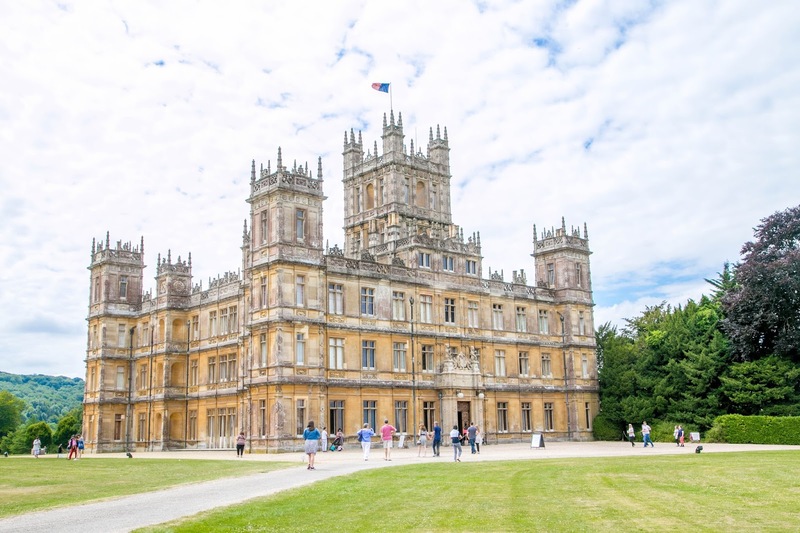 A visit to Highclere Castle is a very simple day trip from London (see Highclere website for directions). Buy tickets online in advance to ensure you can tour the house, but I'll let you in on a little secret they don't advertise on the website. They reserve a number of tickets for walk ins, so if you are caught without, chances are pretty good they will sell you one onsite. Fabulous post! I want to visit Highclere Castle too! Highclere castle is a high end holiday home in the UK anyone traveling to the UK should visit boasting that offers a unique array food and ambience that the blog post has highlighted.